In my mailbox this week and last!!.. I got some great goodies to share with you today!! Maybe, you even received some of these in your mailbox. Read on to see what I got!! *click on any image to enlarge. I was sponsored one of the products I received and purchased the other 2 to add to my review. So this company and their products will have their own post soon. I received my Kiss winnings from Influenster's brand challenges from the Love Voxbox. I cannot wait to use it.. 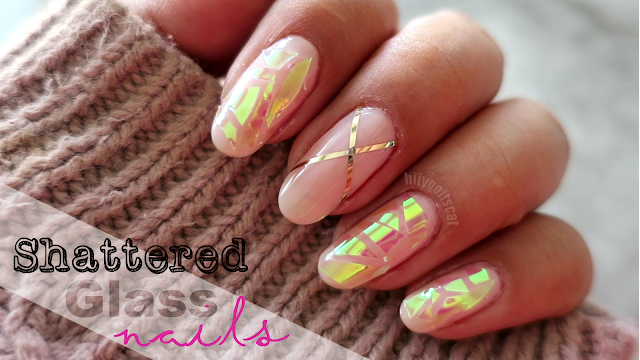 I love the design of these nails. I won an awesome giveaway!! I was able to choose 20 items from her stash. My first revlon lip butters!! and Color tattoo eyeshadows.. Actually everything I chose here are going to be my first time.. except for the crease brush =). This giveaway will also be receiving its own post.. because it deserves it =).. I also wanted to share the swatches with you guys. This is my last issue for the year.. I want to continue my subscription but.. my money goes to the beauty boxes lol.. I only subbed to this magazine because of my E-Reward points =).. Ill probably sub. to another magazine now. I still have yet to read it... Ill probably read it today after I soak my hands and drink my tea. I have been wanting to try this ever since the first time I saw the reviews on youtube. An affordable BB Cream.. I have heard good and bad things about it.. So im glad I finally got a sample to try out. That's it for what I got in my mailbox.. What did you get in yours?!! I love signing up for free samples! haha.. I always get great mail!